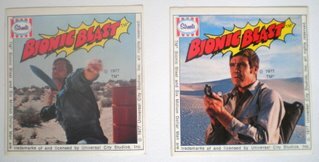 Bionic Blast Ice Creams – Better. Stronger. Faster. 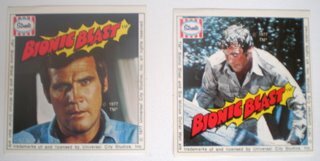 The latest installment in my continuing story of licensed Australian Ice Creams (Part 1, Part 2) features the rebuilt Colonel himself – the Six Million Dollar Man. SMDM was as big in Australia as anywhere else through the mid-70’s, we had the Kenner toys distributed by Toltoys, the board games and model kits too, but who remembers the icy poles? 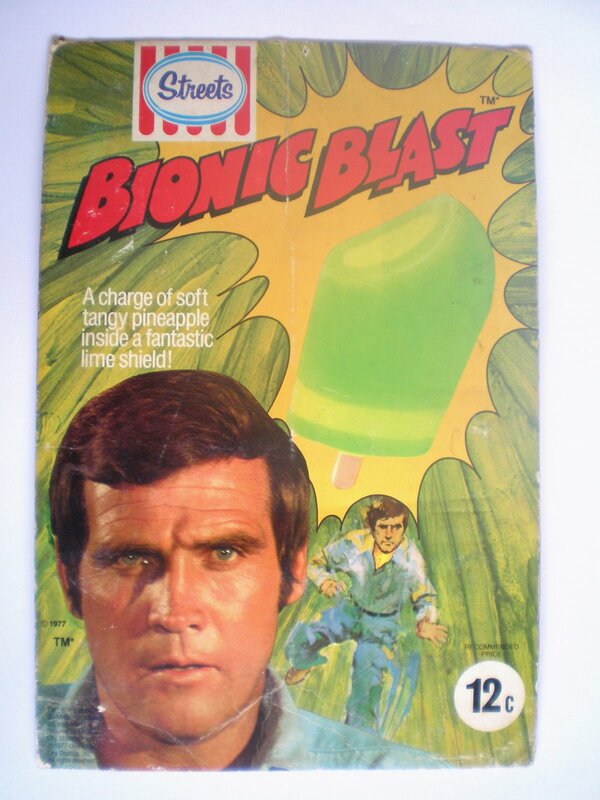 This time it was Streets getting in on the licensing fun, creating a pineapple infused ice treat known as the Bionic Blast. 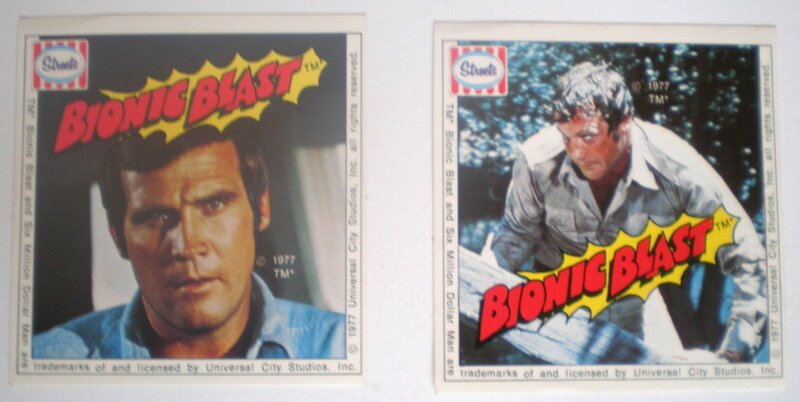 Material from this 1977 release is scarce, but I’m delighted to be able to bring you a couple of items, firstly the store display seen above, and secondly a sample of the in-store and in-pack premium stickers, featuring random shots taken from the TV show. 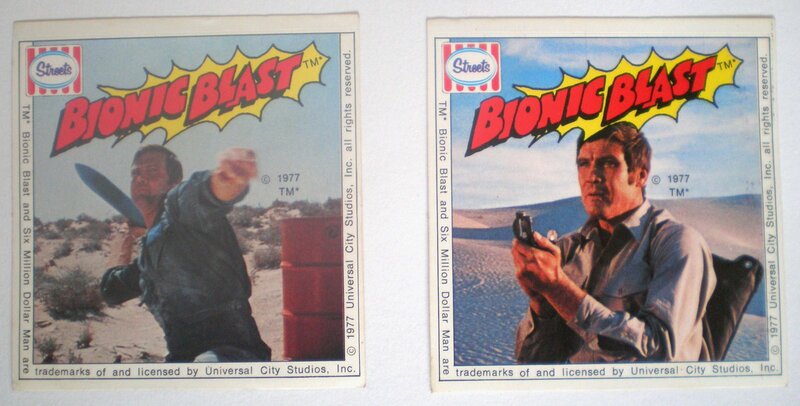 If anyone out there has a box or wrapper I’d love to feature it here, drop me a line at will(at)toltoys(dot)com.